Ah, the great homemade pasta! Sadly, I don't know anyone who makes it from scratch. Even my own parents have fallen victim to the lure of dry pasta. It's not that dry pasta is terrible, its just that when it's readily available and extremely convenient, people tend to start forgetting about the old traditions, and that's just a shame. Almost everyone will agree that homemade pasta is superior to the store bought dry kind, so why settle for something not as good? Not enough time, don't know how, afraid to cook, or whatever you're excuse is, it's not good enough. The only love in cooking comes from the user, so learn with me as I show you how to make one of my favorite fresh pasta dishes, Parmesan Cauliflower Ravioli. 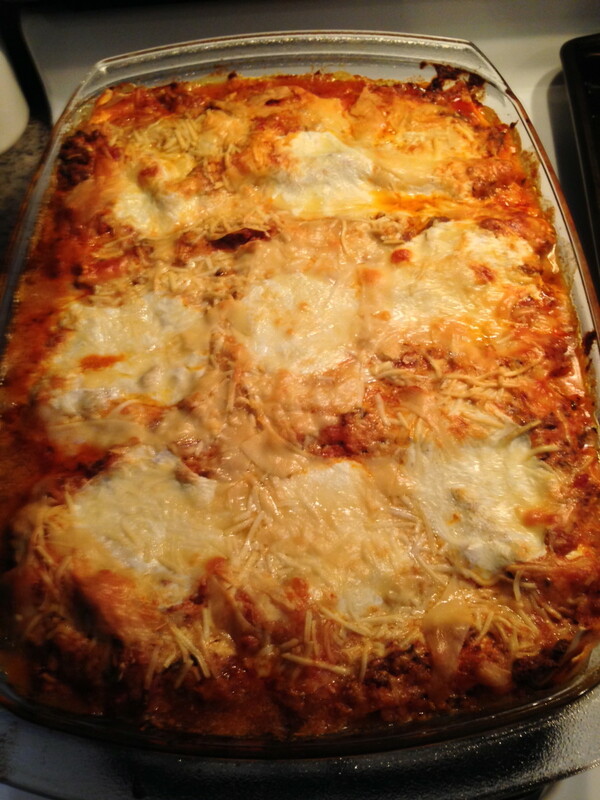 You might have come to think that homemade pasta is a tricky process that only the professionals should attempt. Well, shame on you for thinking this way! This ravioli pasta dough can be made easily from scratch with very little time. Sift flour and salt onto a flat surface and create a well in the center. Add oil and eggs to the well. 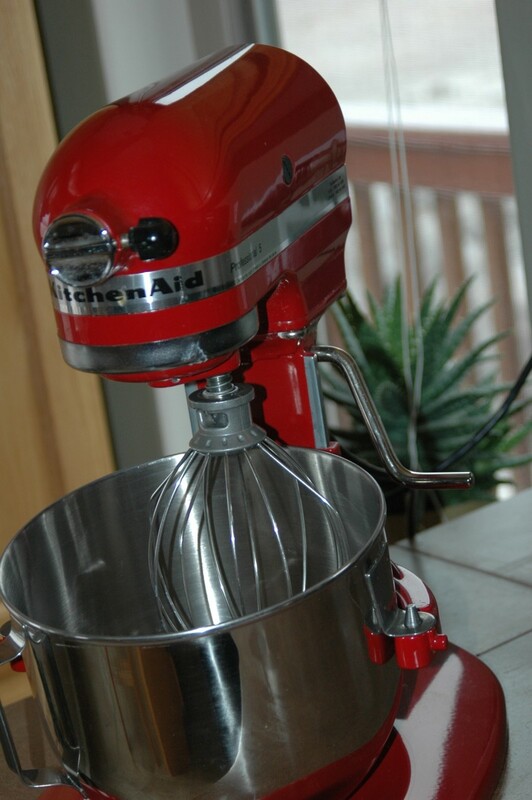 Just as the dough ball begins to form, transfer dough and any leftover flour onto a lightly floured surface. Knead for 10 minutes, or until the dough feels elastic. 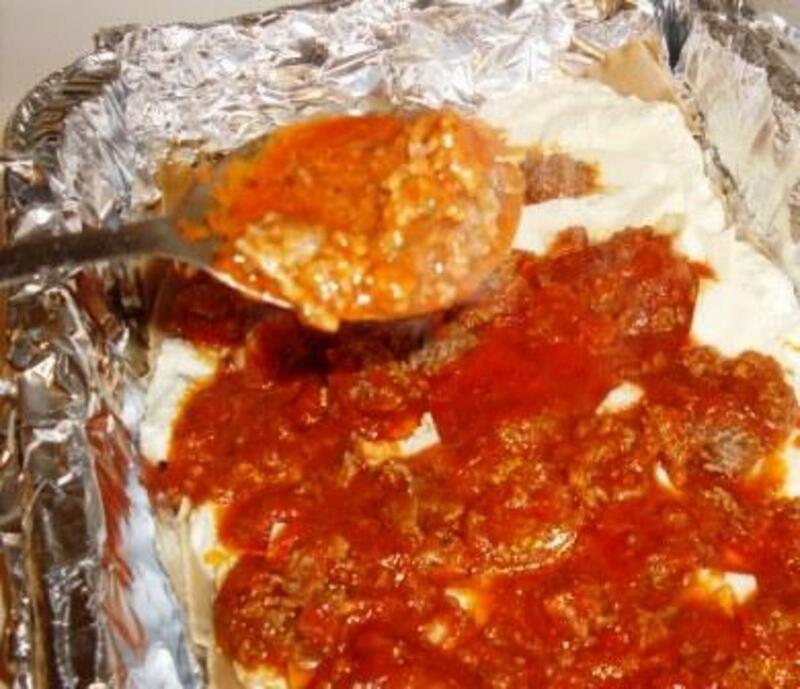 Place ravioli dough into a lightly oiled bowl and place into the refrigerator. Let it rest for at least 1 hour, or up to one day. Cook bacon until crispy. Drain off bacon lard from pan, leaving around a tablespoon to cook the onion. On medium-high heat, cook the diced onion until it begins to caramelize. Around 3-5 minutes. Combine Cauliflower, Bacon, Parmesan Cheese, Thyme and onion into a food processor or blender. Pulse until the mixture is well incorporated. Mixture can be used right away or stored in the refrigerator for up to a couple days, depending on when you plan to cook the ravioli. Making the pasta dough can sometimes be tricky to learn just by reading the instructions. For you visual learners out there, I've included a video that should clear this process up for you. This video of Serena Palumbo from Cooking in Manhattan illustrates how to make a proper pasta dough. 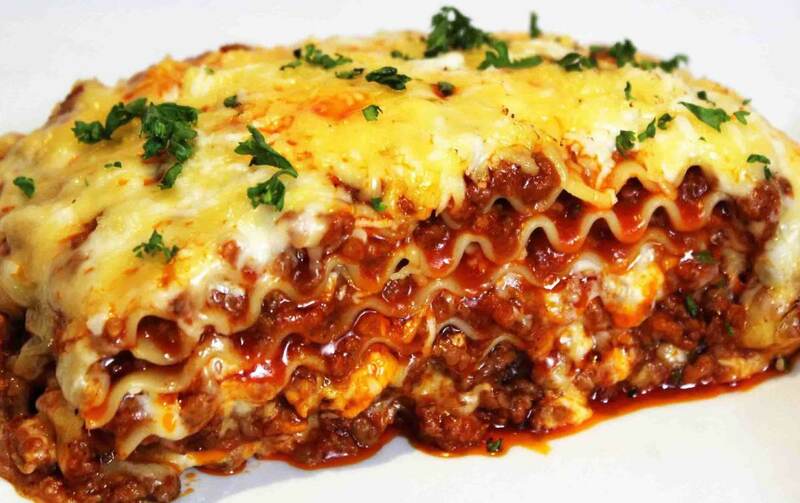 Although she's making lasagna noodles, the dough process remains the same, plus what an exotic accent she has. Place heaping tablespoons of filling along one side of the dough. These should be spaced around an inch and a half from each other. Lightly beat an egg and 1 tablespoon water. Using this egg wash, brush the edges of the ravioli dough with the filling on it. 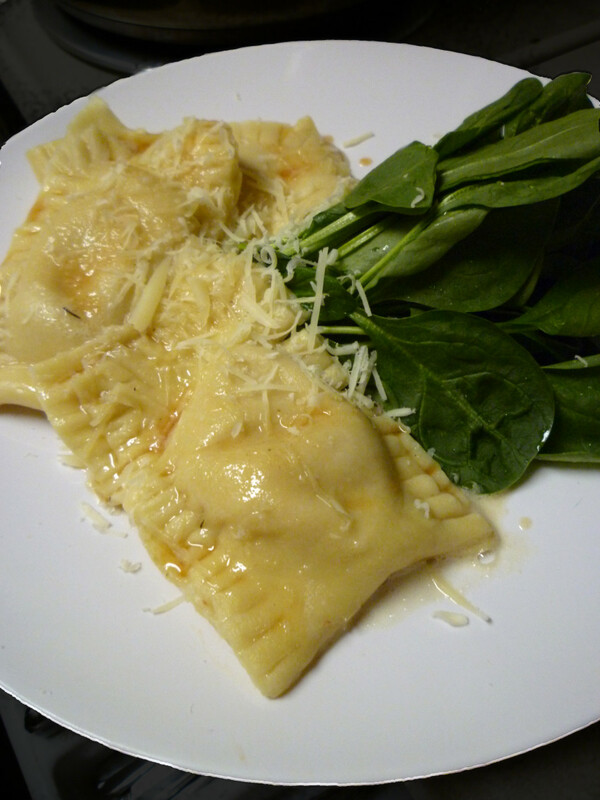 Fold over the other side and begin to cut and seal your ravioli. A fork works perfect. Cook finished ravioli in salted boiling water until they float. This process should take 4-5 minutes. Also be sure not to crowd the pot of water with raviolis, you want to cook them in small batches to ensure the water stays hot. You'd better have a sauce ready for those fresh Raviolis because they're the best right out of the water. Don't get hung up and have cold Raviolis because you were waiting for your sauce to finish. Here's a couple of sauce ideas that can easily be made up ahead of time so you can enjoy the freshness of your ravioli. Process spinach leaves and roasted garlic in a blender or food processor. Add a little olive oil at a time until you have a smooth pesto. Salt and pepper to taste. Refrigerate until ready. In a pan, heat butter to medium/medium-high heat, stirring the entire time. Once the butter browns, remove from the heat and add salt, thyme, and lemon zest. Put on a different burner at low heat to save until raviolis are ready. Alright, now lets see a machine do that! You know what, it couldn't. My odd shapes and slight imperfections make this pasta my own, and I'm dang proud of it. I hope that you get the same pleasure when you see your raviolis for the first time! Remember, it's the old traditions that produce the best results, no excuses. Bacon and Spinach Gnocchi - My unique twist on this Italian potato pasta includes the incorporation of bacon and spinach. How to Make Fish Cakes from Scratch - Too many people these days use potatoes in their fish cakes. What part of fish cake says potato? Learn the real way. How to Bake a French Baguette - Fresh baked artisan bread is a lot easier to make than you ever imagined. Country Buns - Eggs, bacon, potatoes, and gravy wrapped and baked in a warm yeast bread. King of all breakfasts!